From Monday 16 to Friday 20 April 2018, London’s QEII Centre hosted the Commonwealth & Heads of Government Meeting (CHOGM) – a biennial event that rotates between member states of the Commonwealth. Returning to the UK, the event would attract the leaders of 52 nations as well as British royalty, promoting prosperity, democracy and peace. The Commonwealth Heads of Government Meeting (CHOGM) aims to use the strengths of the Commonwealth to respond to global challenges and deliver a more prosperous, secure, sustainable and fair future for all its citizens, particularly young people. 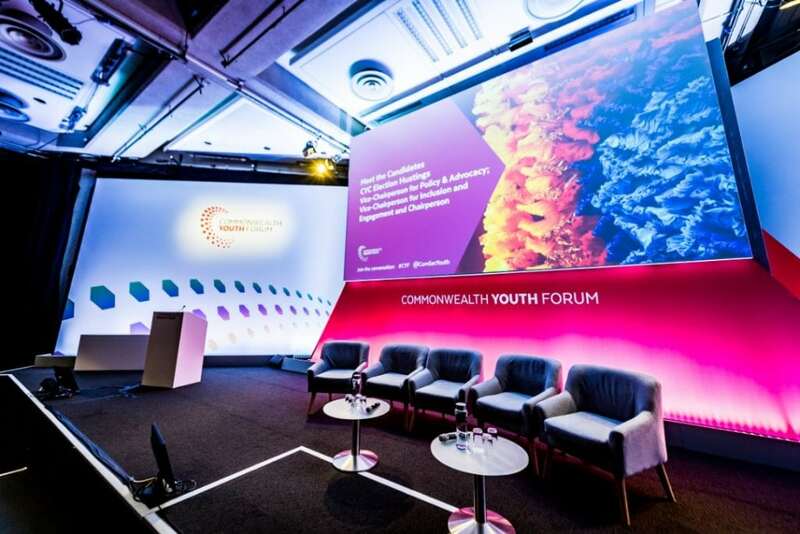 For this global summit, CHOGM needed a venue that could accommodate multiple streams across a week-long event, with faultless AV facilities and innovative catering, that would also be in-keeping with the sustainable principles of the event. CHOGM utilised all 32 of QEII’s flexible event spaces for the week-long event, from its flagship conference space the Churchill and its fifth-floor events space the Mountbatten, to all of its smaller break-out rooms and catering areas. 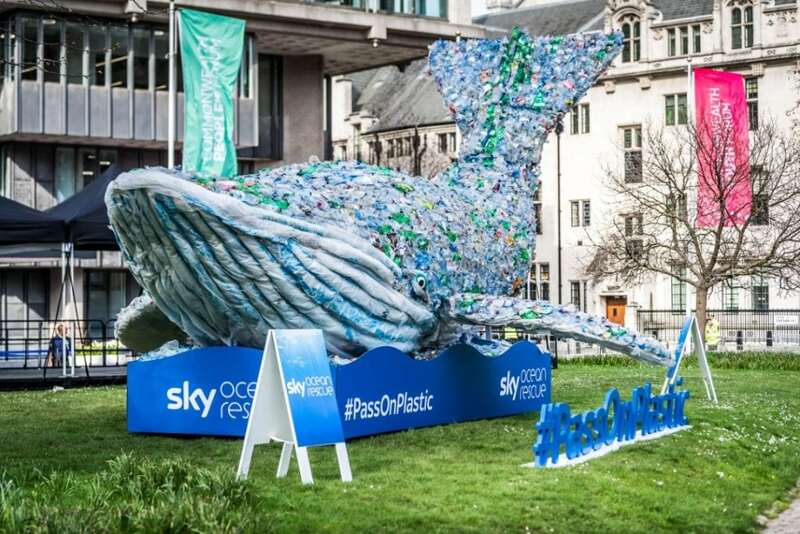 Even the green in front of the centre was used, with the installation of a 10-metre whale called Plasticus, designed to demonstrate how much plastic ends up in the ocean every second. Plastic bottles and packaging were banned from the event and reusable metal water bottles were provided by the organiser. The week-long event began with the Commonwealth Forums which centred around the four topics of business, women, people and youth, with members of the Royal Family including the Duke of Cambridge and the Duke and Duchess of Sussex attending forums which reflected their specific areas of interest. The Duke of Cambridge also attended the ‘Welcome to the UK’ reception on the opening day of the summit, held in the QEII Centre’s third floor spaces – the Britten, Fleming and Whittle – while the centre also hosted an intimate gig by the singer Ellie Goulding. Catering for the event was themed ‘Best of Britain’, representing modern Britain and the diversity of its culture. British produce, such as Welsh lamb, Scottish salmon, Northern Irish cod and English Ragstone goat’s cheese, was used to create both traditional dishes and some with flavours from the Commonwealth, including buttermilk chicken pani puri – fried crisp dough ball bursting with Indian infused spices. Drinks included local London bottled beers and Three Choirs English wines. The Commonwealth & Heads of Government Meeting saw the leaders of 52 nations and thousands of delegates coming together at the QEII Centre. QEII’s central London location provided the event with excellent accessibility by public transport for the guests arriving from all over the world, with the event not only held in close proximity to the political heart of the UK, but also against the backdrop of some of its most recognisable icons including Westminster Abbey, Big Ben and the London Eye. 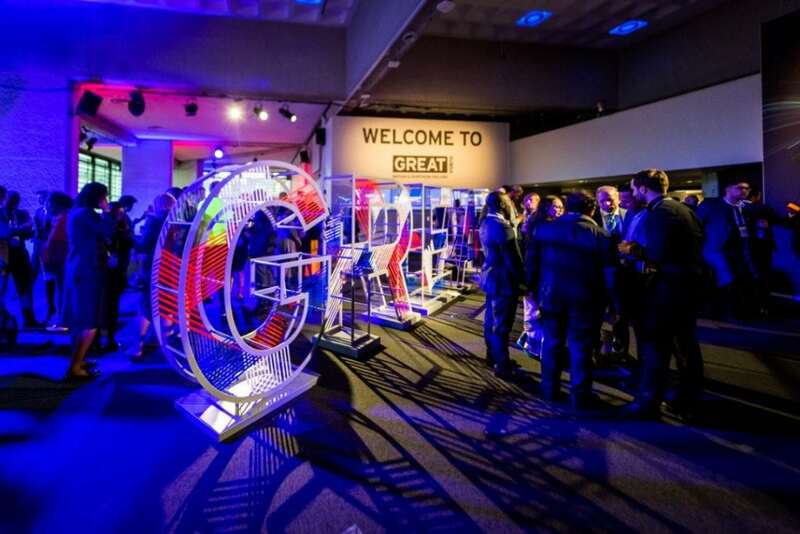 The QEII Taste team successfully delivered on the event’s sustainability objectives by using 100% reusable materials, while QEII Live produced show-stopping audio and visual effects for the welcome reception, as well as ensuring the entire conference’s technology ran smoothly. Debbie Richards, events manager at the Foreign & Commonwealth Office, said: “There are many things we would like to thank QEII for, including the team’s flexibility, good humour and patience; their professionalism and can-do attitude; and putting up with us and our demanding ways.